Q Give us an overview of your company and its contribution in the healthcare sector. Carestream is a dynamic and global company with more than 100 years of leadership. 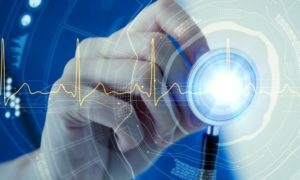 We are an independent, worldwide provider of medical imaging systems and healthcare IT solutions; X-ray imaging systems for non-destructive testing; and precision contract coating services for a wide range of industrial, medical, electronic and other applications — all backed by a global service and support network. When thinking of the world’s first proven wireless digital radiographic detector, the first packaged X-ray film, the first medical dry laser imager, or a unique new platform for mobile digital X-ray imaging, healthcare professionals around the world think of Carestream. We are one of the top global providers of digital radiography (DR) and computed radiography (CR) systems, with a track record for innovation, including the DRX family of DR systems – featuring the advanced, wireless DRX Plus Detector, compatible across all our DRX equipment. Our RIS+PACS, enterprise workflow, cloud-based services are installed at leading healthcare facilities worldwide. Q How are these products and solutions helping the healthcare providers to augment patient care? Carestream has over 600 patents granted worldwide and we are passionately committed to do whatever it takes to help our customers achieve success. Our products are easy to use, highly reliable, and enable our customers to improve the quality and value of their products and services. In today’s rapidly changing environment, where the mandate to provide better outcomes has never been greater, we add value by delivering personalised, affordable and practical options to help our customers advance. Q Carestream has been at the forefront of numerous technological advancements in radiology and imaging. What have been its prominent innovative products and solutions for the Indian market? At Carestream, imaging innovation is not a goal – it’s an ongoing process. 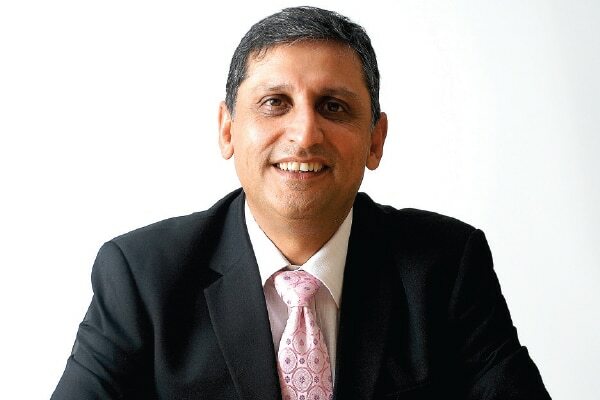 The Indian Healthcare market is extremely important to Carestream. We are extremely pleased to launch our new innovative MyVue Centre Kiosk for this market. The product has been designed specifically for India keeping our customer’s needs in mind. This is the second product which is specially designed for India. Our first product was Vita Flex, which has been a commercial success. Our new Kiosk addresses a complex issue of workflow and wastage. This product dramatically improves the turnaround time, reduces the overall cost, improves the quality of reporting and adds the convenience to the patient. Another product we are proud to highlight is the OnSight 3D Extremity System. Winner of the 2016 AuntMinnie Minnies Award for Best New Radiology Device this Extremity system offers exceptional potential for diagnostic value and image quality. We are extremely proud to be the innovation leaders in the industry and will continue to invest in the coming future. Q What are the emerging opportunities and trends in the Indian Radiology and Imaging sector? How is Carestream contributing on this front? Digital technologies are transforming the way healthcare can be delivered. Radiology as a discipline is also transforming. I see that Artificial Intelligence (AI) is gaining a lot of attention and will be a key enabler for this sector. In India, we are also witnessing the transformation of healthcare with the Indian Government announcing various reforms. Ayushman Bharat is a fine example of this. This reform will add more than 40% of the population in the healthcare system towards the path of Universal Healthcare. We, as key stakeholders, have a task ahead to make this vision possible. This opportunity comes with lots of challenges and as always, we, at Carestream, are fully committed to ensure that we make this possible. We see an unparalleled opportunity to meet the growing needs of our customers and are committed to providing the best customer experience with all our products, systems and services. Q How do you see the role of Artificial Intelligence in radiology and imaging? How is Carestream harnessing this technology? 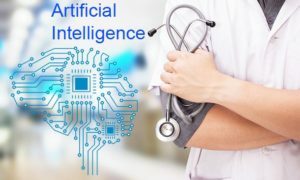 Artificial Intelligence (AI) will be a key enabler for the radiology sector. Although there are many debates surrounding it, there is currently some great work happening in this field. If AI picks up the way is it destined, it will surely enhance Radiology and will lead to better patient care. For Radiology and especially medical device companies like us, the biggest advantage is that we are the ones who are generating the data for AI. 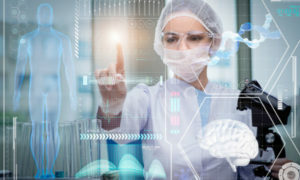 For example, our Digital X-ray or Computed Radiography equipment converts the analog information into digital data, which is what AI uses to process information. This demand for digital information will only increase. We have already launched AI in our Health Care Information System products. With Machine Learning, we will be able to solve complex problems. That’s where we see a huge potential for our company.